Perhaps the most impactful piece of retirement planning is determining your current and future tax liability and developing strategies to minimize the amount of taxes you pay in retirement. Tax planning can have a large impact on the amount of wealth you will be able to transfer to your legacy. 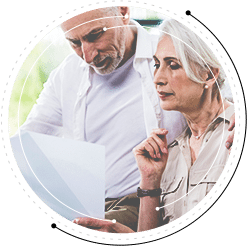 Thrive Financial Services will help ensure that your retirement plan is tailored to utilize both tax-advantaged and taxable products to help certify you and your heirs are maximizing wealth for generations to come. Thrive employs state-of-the-art technology to elevate its practice to include comprehensive tax planning as part of an overall financial plan. This is just one element that separates us from ordinary financial planners. Contact us today for your free TAX CLARITY Report! Discover the best financial choices for your future!